When the word GRIND comes into mind, it usually has to do something with pulling things apart by crushing it. 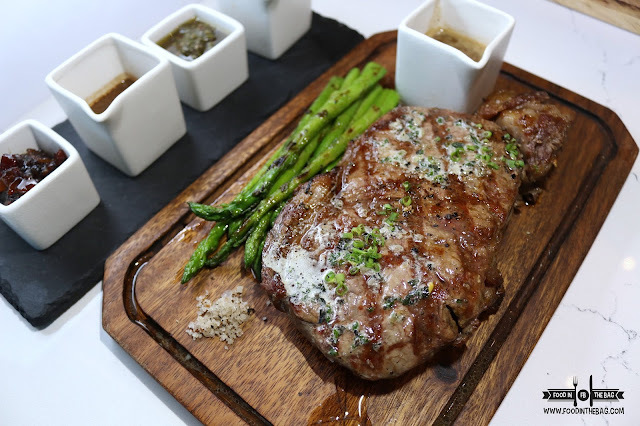 At GRIND BISTRO in BGC, they like to play with the ingredients to make something different and enjoyable. Back to basics, I believe. 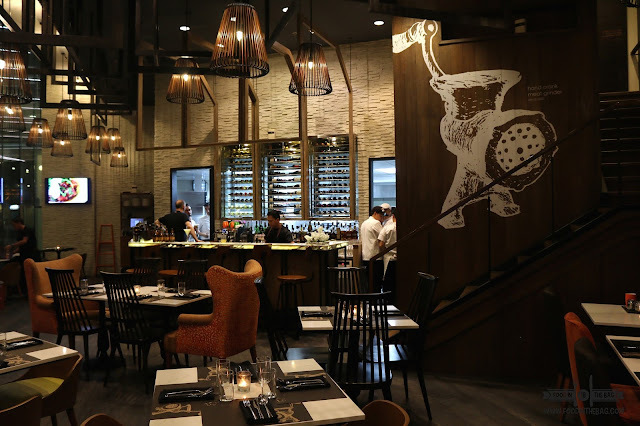 Located at the NET PARK in BGC, GRIND BISTRO is more than just a restaurant bar. It is a passion project that definitely shows the attitude of the team towards service and everything delicious. Starting on a high note, the bar knows what it is doing. A plethora of drinks are personalized and concocted to satisfy the guests' alcohol needs. 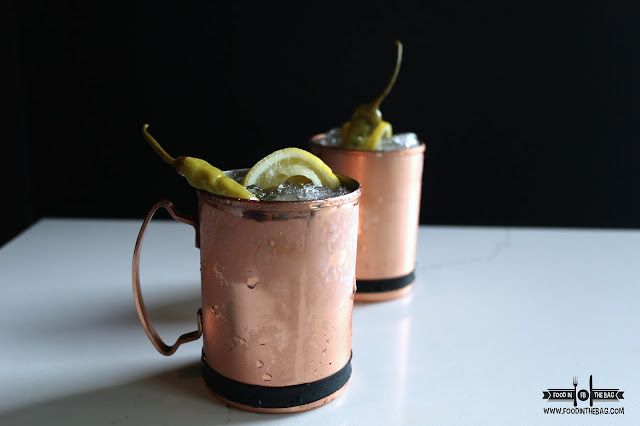 A perfect example, the KENTUCKY MULE is a bit different but hits the spot. Adding a pickled SILI or pepper, gives it a complimentary flavor. It may not be for all but it does give the drink a different tone. SOUPS and SALADS seems to be an important part of the experience. 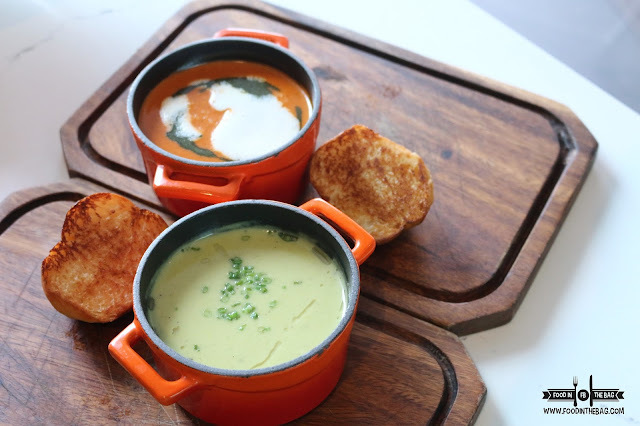 Perfect for the rainy weather, one could go for the ASPARAGUS SOUP or TOMATO BISQUE. For something healthy and fresh, you could choose the LAGUNA FARMER'S SALAD. To be sure, you have to ask the server as locally sourced and seasonal ingredients are placed in the salad. As such, everything on it depends on what is available. 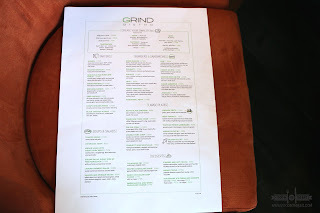 GRIND did an excellent job with the STARTERS. The POKE NACHOS made an iconic dish into something party friendly. 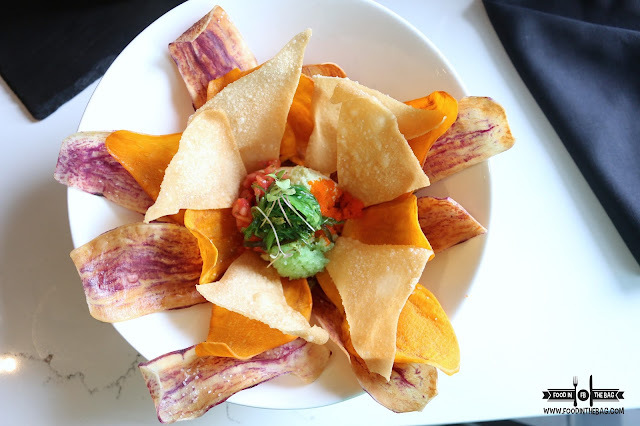 By adding taro and sweet potato chip "nachos", diners get to play with their food and use the POKE as dip. 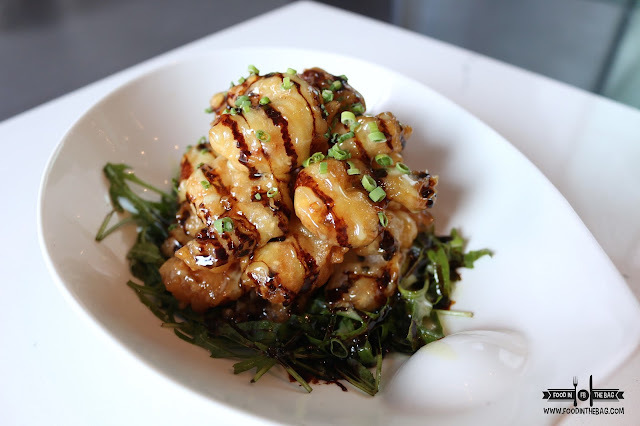 Another simple yet delicious dish would be the POPCORN SHRIMP. Unagi sauce and wasabi aioli was mixed to make the shrimp decadent and savory at the same time. It gives off a bit of crunch with each bite. 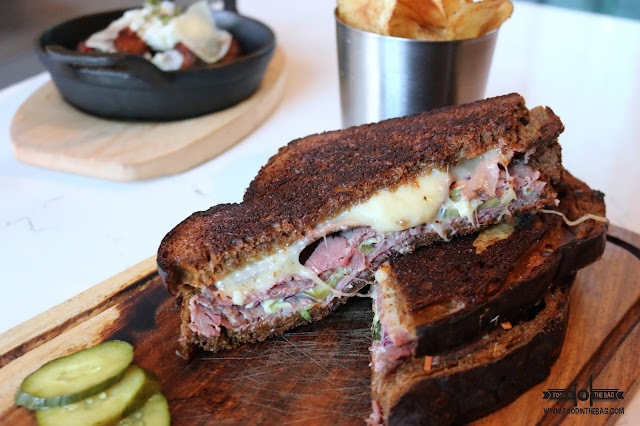 For something "light", one could go for the CORNED BEEF on RYE. Almost similar to a REUBEN sans the sauerkraut, the bread and the emmental cheese works well with the secret sauce. The bread was well buttered and the meat was cured in house. At GRIND BISTRO, they take meat seriously. Everything is fresh and made in house. 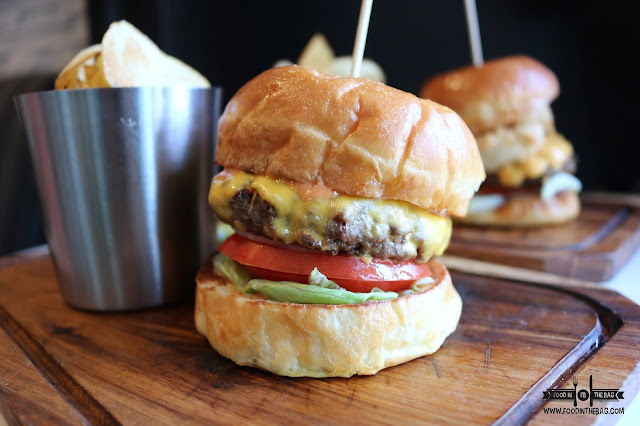 From the bread to the patty, you can't go wrong with any order. 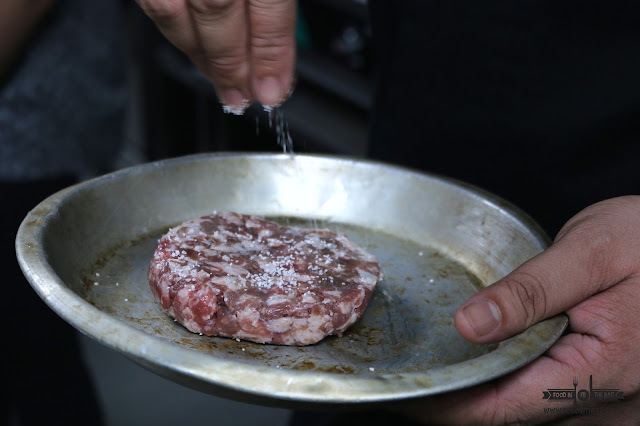 As such, their GRIND BURGER is made with 100% USDA BEEF. The Brioche is fresh from the oven and is smothered with Tiny's secret sauce. 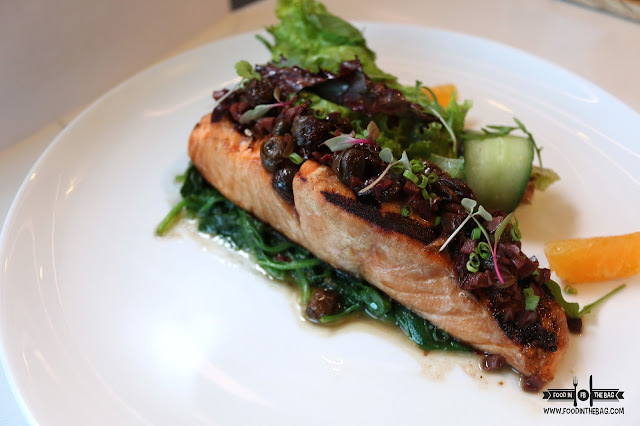 For mains, healthy eaters could start off with SALMON FILLET. Soy, miso, ginger, and lemon syrup makes up the glaze. These make the flavors pop up. 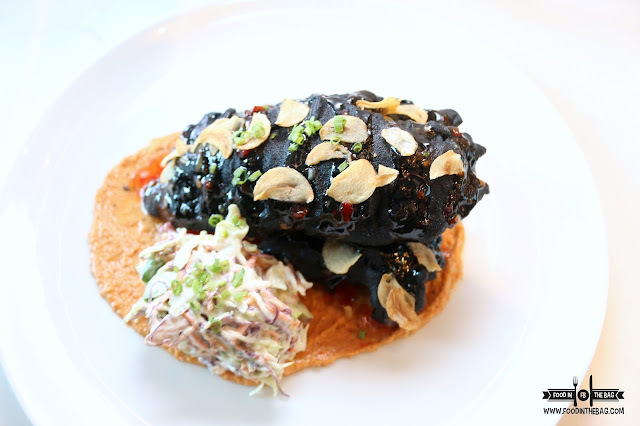 If there was one dish that I would go back for, it would be the NUTTY BLACK CHICKEN. Black tempura chicken fillet is partnered with coleslaw and a sweet chili sauce. Hazelnut romesco was also used to create the flavor. The meat was tremendously moist and the batter goes extremely well with the chicken. 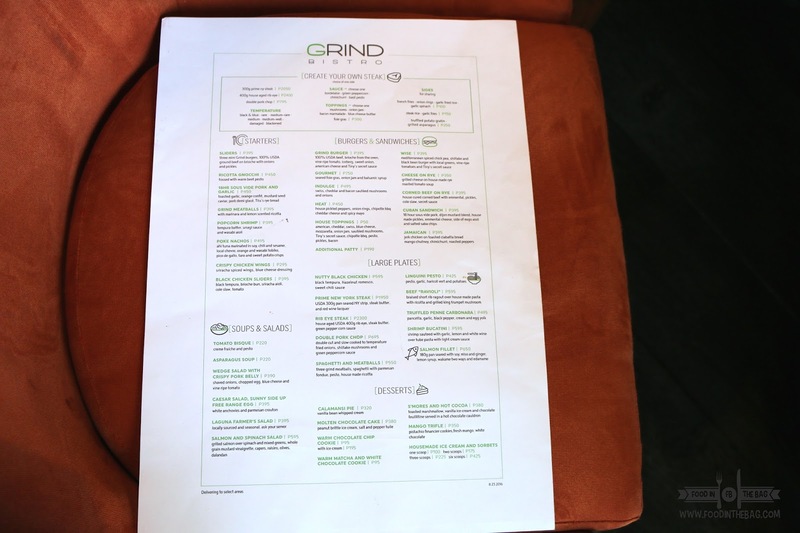 GRIND definitely read everyone's mind as you could actually create your own steak. You can pick from a number of cuts, sauce, toppings, and sides. One thing is for sure, the meat was cooked to perfection. Each knife slice shows the tenderness of the steak. Delicious. Dessert is deadly as it can be, they have this amazing SMORES that was just insane. 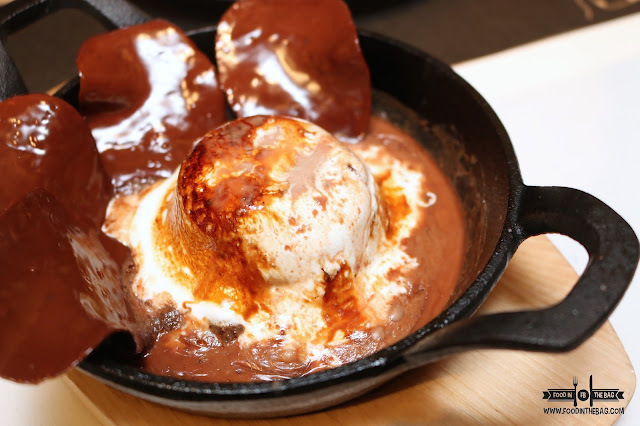 A marshmallow is toasted while vanilla ice cream is inside of it. A number of chocolate covered potato chips are placed on the side then hot cocoa slowly covers the entire cauldron. Deadly good but a bit too sweet for some. 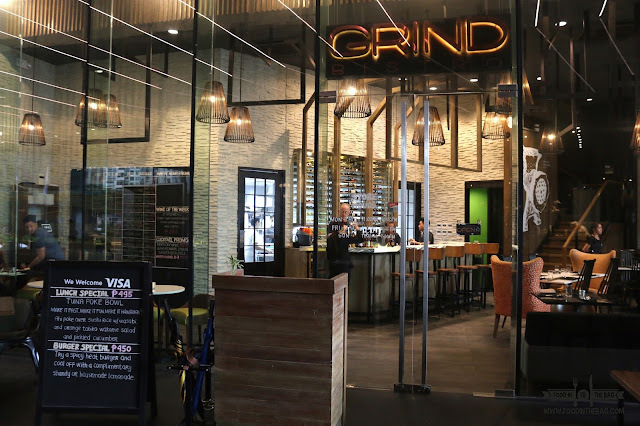 GRIND BISTRO seems to be another welcomed treat for BGC goers. 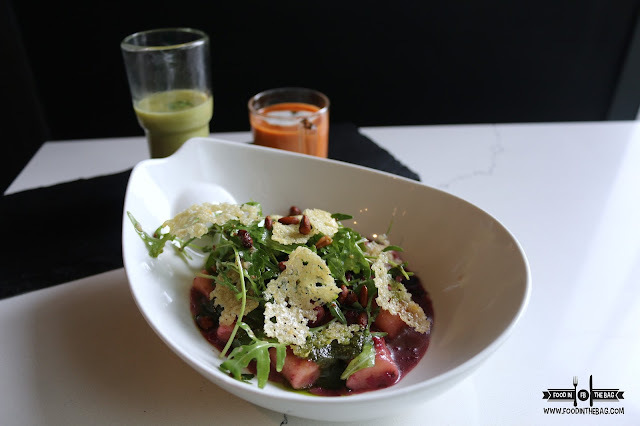 Aside from offering worthwhile cocktails, dishes are well thought off. Definitely a must visit for a night out with friends. Budget around 800-1000Php per person. Better to come as a group. It's better to share. CHOTTO MATTE and IZAKAYA SENSU: Japanese all you want.